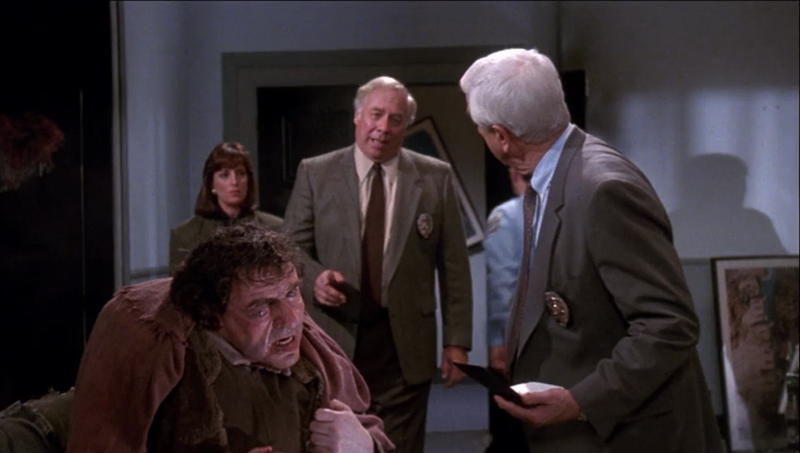 I was watching The Naked Gun 2 & 1/2: The Smell of Fear and at one point, they’re are talking about questioning a witness who “looked pretty bad” and “took a nasty bump on the head.” The main character Frank Drebin (Leslie Nielsen) turns to question an a ugly person who is not the witness. Now tell me this isn’t supposed to look like Quasimodo? There is a hunch and the smaller eye. This is meant to be Quasimodo without saying it is.